After the high court ruling in South Dakota’s favor, Consumers are to see online sales tax on more online purchases. “Gov. Dennis Daugaard is calling a special legislative session to speed up implementation of a U.S. Supreme Court ruling allowing states to force online shoppers to pay sales tax. The governor’s office said Tuesday the special session will be Sept. 12. 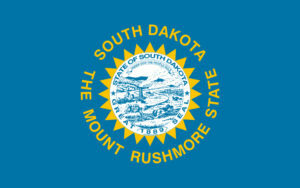 The move comes after the high court ruling in South Dakota‘s favor that opened the door for consumers to see sales tax on more online purchases from out-of-state companies. This entry was posted in South Dakota and tagged Commerce, e commerce, E Nexus, Nexux, sales and use tax, sales tax, South Dakota, South Dakota DOR, South Dakota v. Wayfair, use tax, wayfair by ZASALT. Bookmark the permalink.